Founded in 1983, Friends of Cunningham Park solicits funds from elected officials, private foundations, grants from State and Federal agencies, and individuals to provide the park with amenities not readily provided by the New York City Department of Parks and Recreation. Help support our efforts to attain our goal! 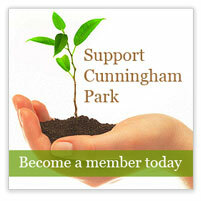 Join Friends of Cunningham Park, Inc.
Or pledge to donate the amount you wish!